Consumer credit increased at a seasonally adjusted annual rate of 4.5% in December, down from an 8.1% rate in November. 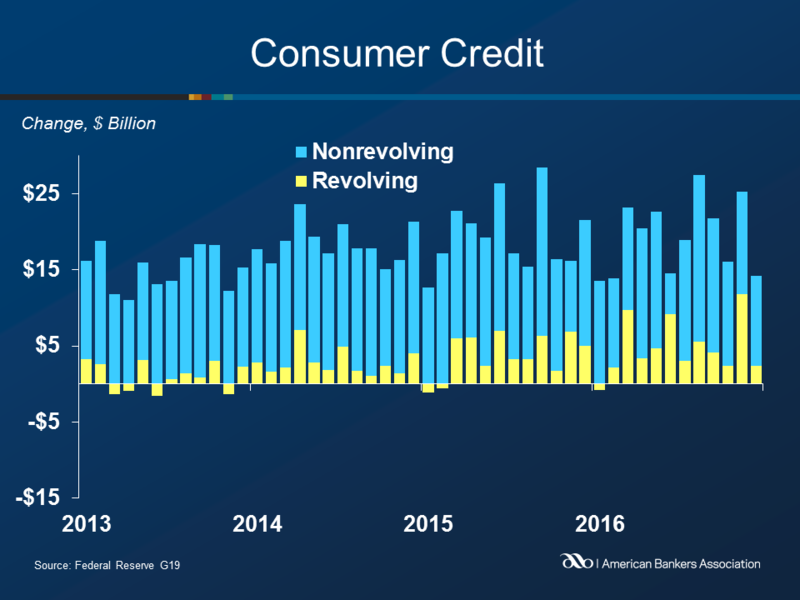 Total outstanding credit increased $14.2 billion during the month (compared with $25.2 billion in November) to $3.76 trillion. Revolving credit rose at an annual rate of 2.9% to $995.5 billion, compared to a large 14.4% increase in November. Non-revolving credit rose at a 5.1% annual rate, or $11.8 billion, compared to November’s rate of $13.4 billion. Total non-revolving credit is now $2.77 trillion.